Two issues of Flash: The International Short-Short Story Magazine (April 2018 and October 2018). A 25% discount on publications by Flash: The International Short-Short Story Press. A discount for any flash-related conferences and events organized by the Association. Occasional emails regarding significant publications, competitions, and events. 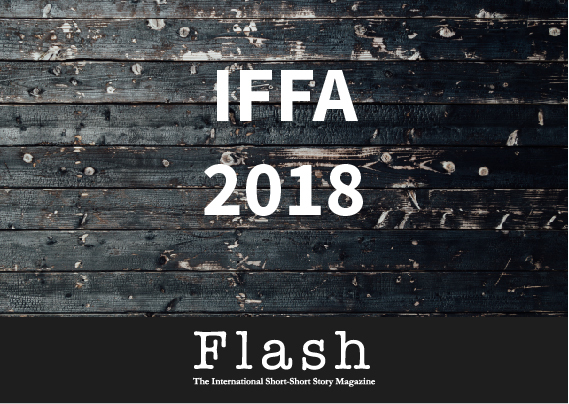 Flash: The International Short-Short Story Magazine, the journal of the International Flash Fiction Association, is a biannual literary magazine, publishing quality stories and reviews of up to 360 words. Flash aims to include stories told from all angles and by writers hailing from all points of the compass. Flash is published as an A5-sized book. It is not an e-zine. Alternatively you can proceed to order online by selecting the appropriate option below (depending on your location) and clicking "add to cart".